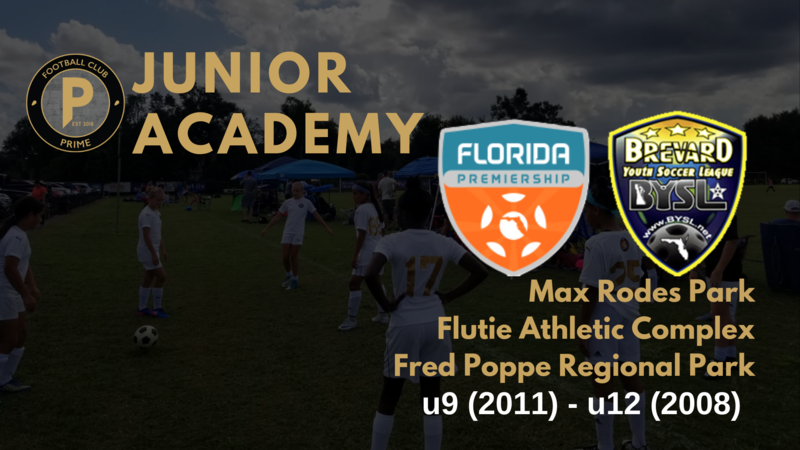 Junior Academy (u9-u12) | Football Club Prime Inc.
Monday May 6th - Boys and Girls @ Max Rodes Park, Melbourne. Wednesday May 8th - Boys and Girls @ Fred Poppe Regional Park, Palm Bay. Thursday May 9th - Boys and Girls @ Flutie Athletic Complex, Melbourne Beach.